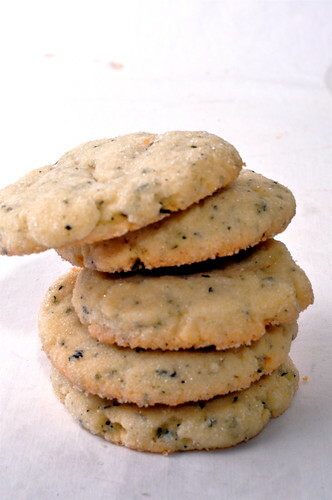 How do I tell you that these are 'spiced tea' cookies? Should I call them cookies flavored with spiced tea? Should I throw a hyphen in there and declare that I have made spiced-tea cookies? I honestly have no idea. But that's really beside the point. Do you ever find yourself itching to bake, but you realize your shelves are nearly empty and your fridge is almost completely emptied out? I know I've found myself in this situation more than once this summer. At home, I have every ingredient I could want at my fingertips. My mother, organization queen that she is, fully stocks our pantry, refrigerator, and spice cabinet, leaving my baking adventures wide open. I scanned my Spartan cabinets, hoping for inspiration. I had no milk, so cake was out of the question. I had no fruit, so pies and tarts wouldn't really work. Basically, I had nothing. 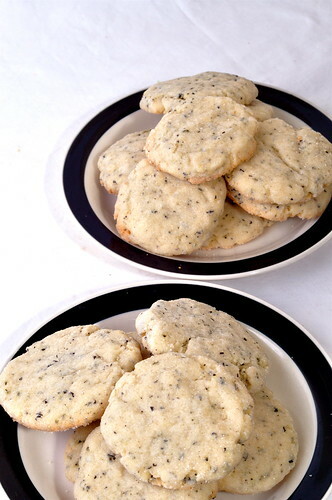 I didn't really want to make a simple shortbread or sugar cookie, but I didn't even have any chocolate, nuts, or toffee bits to spice things up. Then, as I was shoving my numerous boxes of tea aside to hunt for the brown sugar (I swear I didn't eat it! 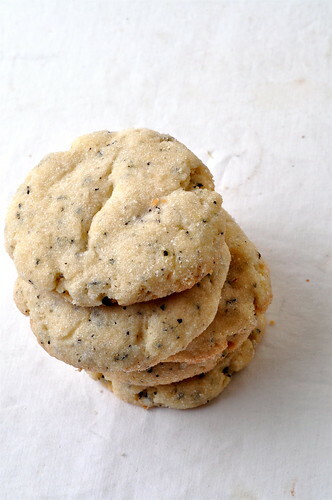 ), I realized that I could put tea in my cookies. As any of my friends can attest, I am a tea fanatic. I drink at least two mugs a day and always keep a tea bag or two in my purse in case of emergency. My all-time favorite tea is Harney & Sons' Cinnamon Spice tea. I can't bear to be without it, so I import boxes of the stuff, shoving it in every nook and cranny when I go to school. While it is lovely and delicious freshly steeped, it wasn't quite what I wanted for my cookies. Earl Grey felt a little passé, so I reached for a holiday blend tea, sweet with notes of almond, cloves, and citrus. The cookies are slightly squishy. Pillowy, really. 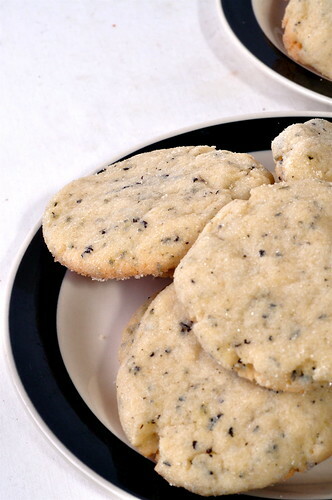 And the tea makes them beautiful and speckled and also creates a complexity absent in many sugar cookies. I couldn't resist pinching off a few knobs of dough as I worked, rolling the dough into balls and coating them in sugar, and I have to tell you it was phenomenal. Vanilla ice cream would be especially nice studded with little nuggets of the dough. Go on, steal a bit. I won't tell anyone. Preheat oven to 350. Whisk together flour, tea leaves, and salt. Cream butter and sugar together with hand mixer or in a stand mixer. Beat in egg. Gradually add dry ingredients, beating to incorporate thoroughly. Chill dough for 30 minutes. Roll into 1-inch balls. Toss balls in coarse sugar to coat. Place on baking sheet, spacing cookies 1 inch apart. Flatten with the bottom of a glass. Bake for 20 minutes, rotating halfway through. Cool completely. These look wonderful and I love the thought of the spiced tea flavour in them... Thanks for sharing! The spiced tea really makes them extra special...you almost don't want to share!